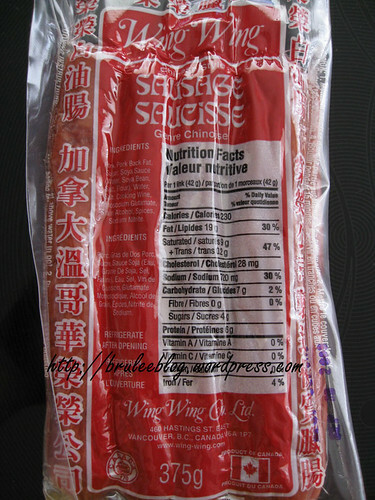 Lap cheurng is a dried and salted Chinese sausage. 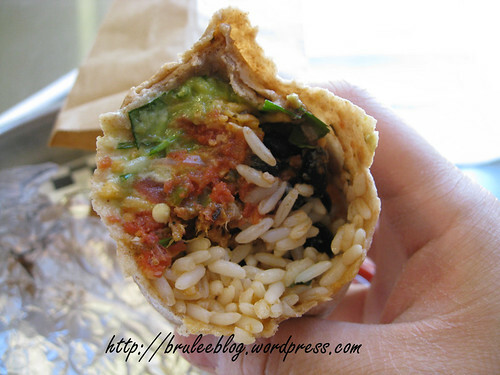 The most common version is made with pork, but there is also a version made with pork and duck liver. 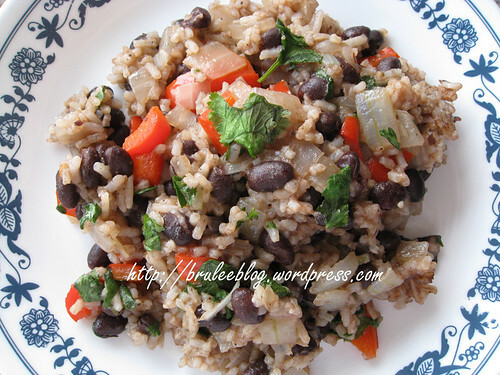 Some simple ways to use it include diced and added to fried rice, as well as added to sticky rice. It’s also very fatty, so if you’re watching your cholesterol you probably want to avoid it. 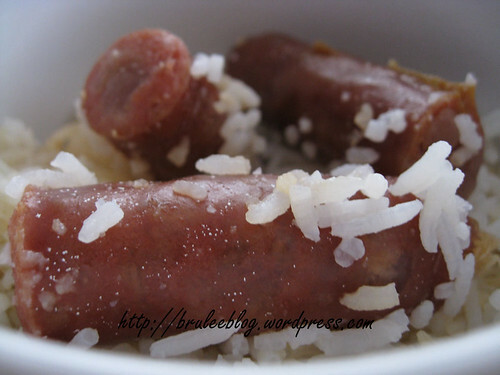 Lap cheurng fan, or in English Chinese sausage rice, is a fast and easy recipe to make, especially if you have a rice cooker. 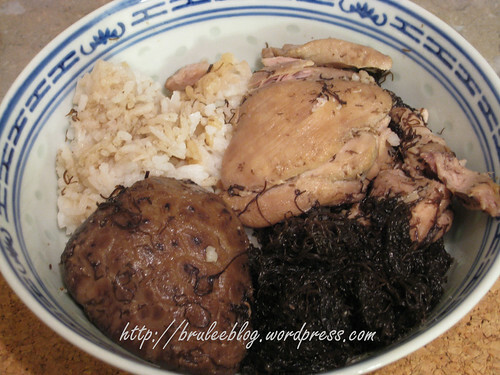 The last part of my second Chinese New Year dinner was made up of chicken braised with shiitake mushrooms (a.k.a. dried black Chinese mushrooms that were re-hydrated) and black moss, as well as some BBQ eel for the fish dish (sorry, no pics of the fish). I had no hand in making this, except for eating it with great pleasure. The moss was always something I loved eating as a kid as I always found it fascinating. The stuff basically tastes like a less salty seaweed, has a texture similar to vermicelli, and looks like hair. It also absorbs liquid really well, so when placed into a soup or braised stew, the flavours are all soaked up into the moss. Authentic black moss should actually be a very dark green, not black. If it’s black, it’s fake. Chinese usually eat the moss during new year celebrations because it’s called “fat choy,” which in Cantonese is very close to the words for prosperity and riches (as in the new year greeting Gong Hei Fat Choy). I’m somewhat troubled by the Wikipedia page about fat choy. Apparently it’s the cause of erosion and desertification in the Gobi desert and Qinghai plateau. And some doctors in Hong Kong came out with a report saying that eating fat choy may lead to the development of degenerative diseases. I’m not 100% convinced about the medical report as it’s only one study and people have been eating this stuff for hundreds of years. The environmental impact troubles me though. 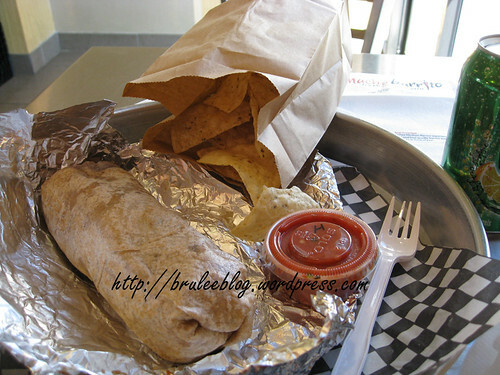 We may not eat it again after we finish the packages that I bought last Friday. Anyway, I hope you had a lovely Chinese New Year. I know I did. The sister of a friend opened up a brand new catering company here in Edmonton, and I was lucky enough to snag an invite to the launch party. Ayikarley’s Kitchen serves up authentic Ghanaian cooking. The proprietor, Ellen, is building up her list of dishes and has a wonderfully bubbly personality. Plantains look like bananas but are more firm and aren’t as sweet as bananas. They require cooking, and Ayikarley’s Kitchen fried some up to start off the meal. It was hard to resist snacking on these things. This was probably my favourite dish of the evening. The soup was light, but filling, and I somehow managed to have a whole catfish head in my serving. Mmmm fish heads are yummy!